Choosing oak flooring can be more difficult than first suspected. This can be attributed mainly to the numerous options that are available, not only from an aesthetic perspective in terms of the numerous surface finishes available, but also from a practical perspective. Practical factors that must be considered include, the length and width of flooring plank that you select, and also whether you select an engineered or a solid oak floor for your interior. In order to aid the selection of an oak floor for your interior we have created this guide. 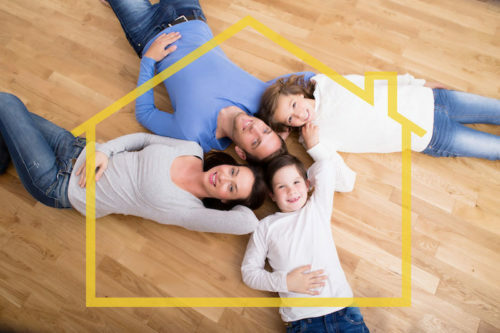 First you must work out the size of your interior space that requires oak flooring, once you have measured this space you are away of how much oak flooring your will require in order to successfully provide full coverage. This information can be later provided to your supplier to ease the purchase. Do you want to use thin oak flooring planks or wide oak flooring planks; equally do you require short flooring planks or long ones. The size of flooring planks used in your interior can be utilised to trick the eye into making the space feel either smaller or larger than it actually is. To demonstrate, if you intend to make your interior look larger than it actually is, and make that small room seem expansive rather than boxy, we encourage that you choose larger and wider flooring planks in your interior. There are two key types of oak flooring planks available, these are solid oak flooring planks and engineered oak flooring planks respectively. Solid oak flooring planks are as the name suggests, planks constructed from solid pieces of oak. These planks are extremely popular due to the unique and distinguished aesthetics they provide, however they come at a cost. Engineered oak flooring planks, are on the other hand, far more financially affordable. However, this does not mean you are purchasing an inferior product. These planks are constructed using a plywood core, on which is laid a real oak wear layer, enabling you to enjoy the stunning aesthetics of real oak. First time buyers of oak flooring are often surprised by the vast spectrum of choice available when it comes to oak flooring finishes. Before looking at finishes, consider the style you want for your interior, once you have found this you will easily be able to find the colour and surface finish required to complement this.